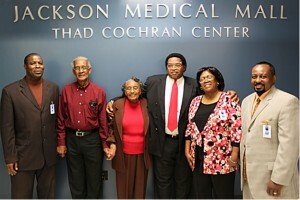 The Hinds County Human Resource Agency (HCHRA) hosted its annual Senior Thanksgiving and Retired Senior Volunteer Program (RSVP) Awards Luncheon on Thursday, November 11, 2010, in the Thad Cochran Community Room at the Jackson Medical Mall. One hundred seventy nine seniors were honored for their service to community and faith-based organizations. “As long as you can do something that can help somebody, the Lord will bless you. When God blesses you, He blesses you to bless somebody else. You live to help somebody else,” said honoree Eula V. Polk of Terry. RSVP helps individuals age 55 and older identify volunteer opportunities where they can serve up to 40 hours a week. Tutoring children in reading and math, building houses, helping get children immunized, modeling parenting skills to teen parents, participating in neighborhood watch programs, planting community gardens, providing counsel to new business owners, offering relief services to victims of natural disasters and helping community organizations operate more efficiently are some of the services the volunteers provide. 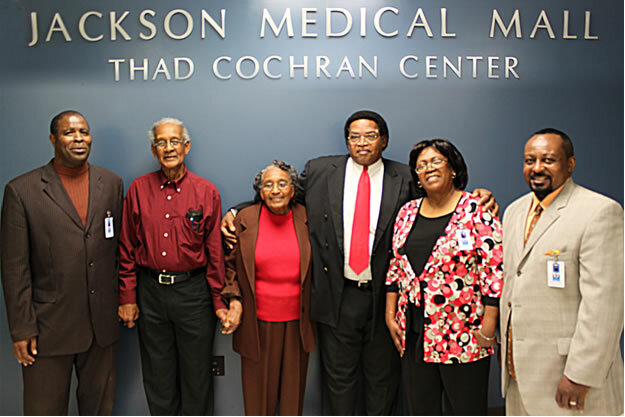 “RSVP volunteers within the Jackson Metro area have been and will continue to be champions in solving problems in our community, and for this we will always be thankful,” said RSVP Coordinator Dexter Hogan. For more than twenty-five years, RSVP has been vital in communities throughout the US. Today, more than 450,000 retirees and seniors participate in this program, making it one of the largest volunteer efforts in the nation.